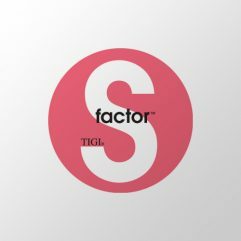 TIGI S Factor hair care is the premium and most luxurious of all the Tigi hair styling brands, as the S Factor hair care range offers all of the finest ingredients, colour safe qualities and more! The S Factor hair styling line from TIGI has become renowned for silky smooth results, moisture-rich, replenished hair and revitalized colour. The TIGI S Factor hair care brand stands over and above the rest as super-sweet aromas and more than satisfying results! S Factor has the power to not only make you feel better, but look better. The S Factor advantage works to fight humidity, restore luster, maintain colour vibrancy, and strengthen hair to truly enhance your look. Copyright © 2019 Harlow Salon. All rights reserved. Salon Web Design by StyleNet.